Property Owners: List your Burgundy property on the premier site specialising in French holiday lets. More Info. View all villas and gites in Burgundy. Wherever you go in France, a gite holiday is a good choice. A gite in Burgundy is the ideal way to get into local life and see France as it really is. Burgundy villas also exert a strong pull for the adventurous tourist as, like a gite, they bestow independence, allowing you to please yourself as you go about enjoying your holiday without any ties or restrictions. Having a holiday in Burgundy, you simply have to go wine tasting at least once. Most tasting sessions will include a tour of the vineyards beforehand. Small vineyards may be difficult to access and a prior booking may have to be made. However, the larger establishments present no problems as they have regular opening hours. It may be necessary to pay a small fee in some places, and they like you to buy at least one bottle of wine before you leave. Wherever you go, you’ll be reminded of food and drink by the place names of the villages, towns and cities. A visit to Dijon, famous for its mustard and one of France’s leading gastronomic centres, will bring you into contact with magnificent architecture that dates from the days of the Dukes of Burgundy. Every autumn, the city plays host to the Dijon International and Gastronomic Fair, attracting upwards of 200,000 visitors. Packed with exhibitors, amateur and professional cooks, new products to try and cooking demonstrations, it really is a must-visit. And once every three years, in theory, Dijon holds an international flower show. Going under the title of Florissimo, you can see exhibits originating from cities all over France and beyond its borders. Vézelay is a hill town, famous for its abbey, which is now called the Basilica of Saint Mary Magdalene. It’s an outstanding example of Burgundian Romanesque art and architecture, and along with the town, has been designated as a UNESCO world heritage site. Vézelay also produces its own wine from the vineyards that are reputed to have been originally planted by monks, back in the ninth century. For those who like their history, Autun is an interesting place to visit. An ancient Roman city, located in Saône et Loire, it still has two Roman gates and ruins going back to the reign of Augustus. They include a theatre, which used to hold 17,000 people. 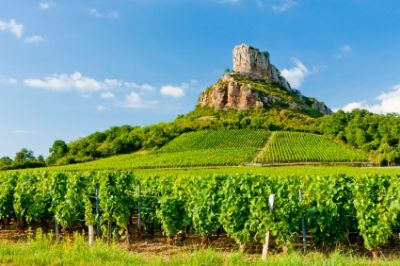 The name of Burgundy is synonymous with the word “wine”, the region being famous for both its whites and reds. Their reputation and quality are legendary, and there’s nothing quite like savouring a few of the varieties in their own back yard to really appreciate them and spoil your palate. And of course, being France, there are some fabulous foods to accompany them on their journey. Boeuf Bourguignon readily springs to mind, as does Coq au Vin, and no matter how good you think your previous experience with those two particular dishes is, you just have to eat them in situ to garner the full and proper effect. Other local favourites are Escargot a’lail, Oeufs à la Bourguignonne, Poussin à la Moutarde and Poulet de Bresse en Civit. France is also known for its cheese, and while in Burgundy, don’t miss out on the Époisses de Bourgogne, an unpasteurised cheese with a certain pungency that's made from cow’s milk. A fine way to finish any meal.